I didn’t quite realize it before we moved in last summer, but our new home is situated on a property containing a delightfully large number of apple trees. There appears to be several different cultivars. I have no idea what they are (it’s a bit easier to narrow the ID on them when they fruit! 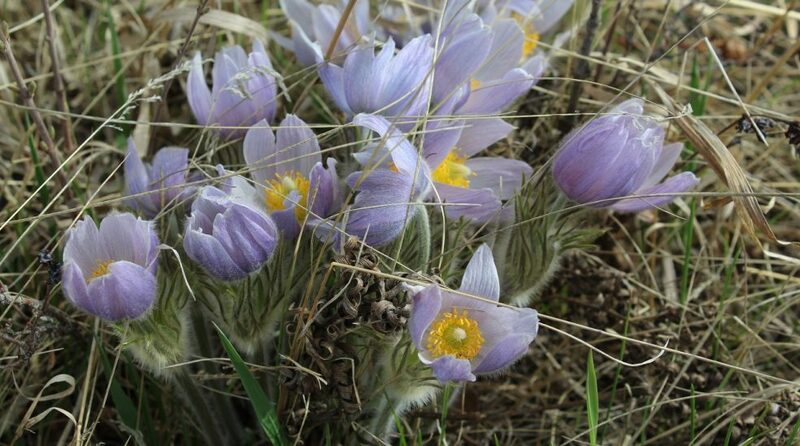 ), but what a treat to see them blooming right now. 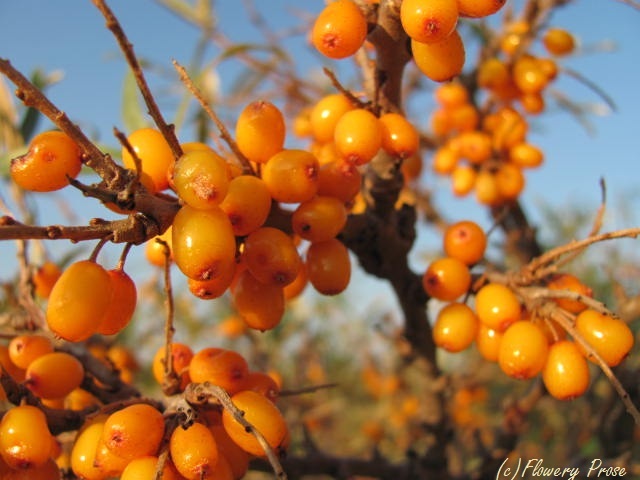 The sight – and lovely sweet scent! – makes me smile each time I head out the door. Which fragrant flowers in your garden are your favourites? Book review: Apples of North America. Here is THE book for anyone who loves apples – whether that means eating and cooking with them or growing them. Orchardist Tom Burford has assembled a thoroughly-researched guide to 192 apple varieties found in North America, offering tips on how to successfully grow apples in both orchard and home garden settings, from seed to harvest and storage. There are even detailed instructions for cooking apple butter, drying apples, and pressing and making apple cider (my favourite!). The individual apple portraits are the best part of this book: each page is complete with photographs (so you can see the variations of colour and striping), and a short blurb about the apple’s history, outstanding tree characteristics, interior and exterior descriptions, notes about disease resistance, and ratings for use (dessert, baking, frying, drying, cider, applesauce, vinegar, landscape design, etc.) and storage. Not only informational, this book is a delight to pore through – I wasn’t familiar with most of the varieties in the book as few of them make it to our grocery or markets, so it was a treat to see how they all varied in size and colouration. The breeding history of each one is fascinating as well – Burford goes beyond the science to tell the stories behind each apple. Mmmm…now all I can think of is apple crisp warm from the oven (can you tell I haven’t eaten breakfast yet?). What are your favourite apple varieties – and your favourite ways to eat them? 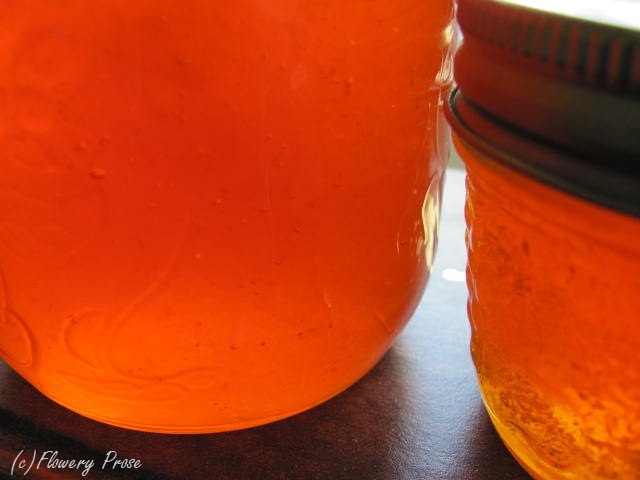 My hubby and I managed to get out this past Saturday morning and gather some sea buckthorn fruit so that I could try my hand at making jelly from it. 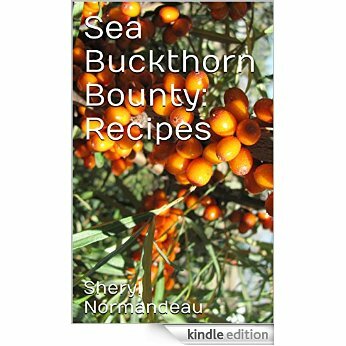 If you’ve been reading my blog for awhile, you’ll recall that I made a sea buckthorn beverage last year – I just love the citrusy taste of the berries and their gorgeous sun-bright colour.